If you don't want the neighbors peaking through the knotholes in the fence, fix them. 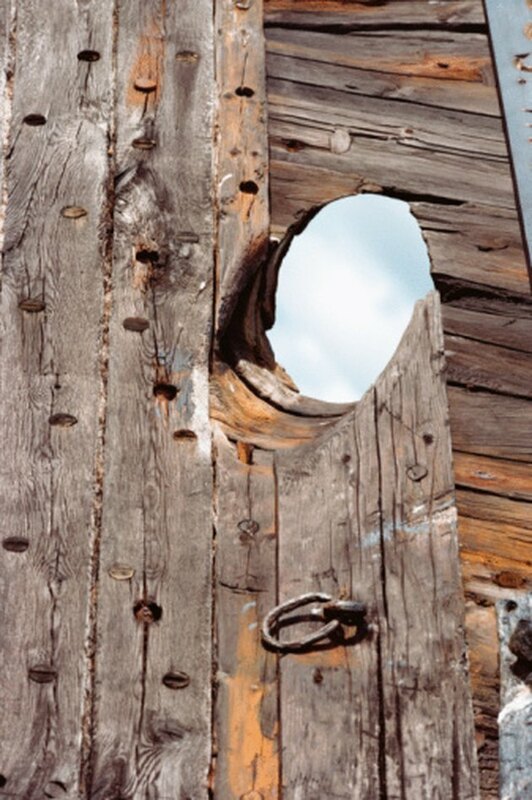 Filling a knothole with a wood filler is the recommended method for the repair. Knotholes can weaken the structural integrity of a fence, fill with organic materials that can lead to rot and decay and harbor unwanted insects and pests. You can use a high-quality wood filler to fill the holes and paint or stain them to match the look of the fence. Fix knotholes before the fence falls apart. Clean all loose dirt, wood and debris out of the knothole using a small wire-bristle brush. 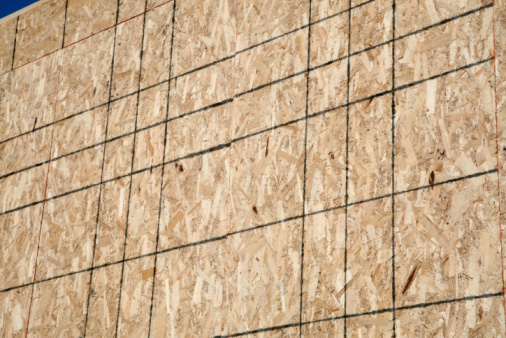 Move the brush in and out until you have cleared the hole of all loose material. Use the tip of a flathead screwdriver to remove large loose pieces of the knot. Scrape, scratch and brush the hole until you reach firm or sound wood. Attach a spray nozzle to the end of a garden hose and attach the other end to a water source. Spray the knothole to remove all loose dirt, wood and debris. Allow the area to dry for 24 hours. Shake the can of wood hardener to mix it before opening. Open the lid and dip the hard-bristled toothbrush into the liquid. Brush the hardener onto all surfaces of the knothole until the wood is saturated. Apply several coats within a few minutes until the wood is shiny. Allow this to dry for four hours. Stick a piece of duct tape over the backside of the knothole to act as a backing for the wood filler. Scoop a golf ball-sized amount of wood filler out of the can and place it in a small plastic bowl with a putty knife. Squeeze a three-quarter inch line of hardening agent onto the blob of wood filler and then mix the two together with the blade of the putty knife. Apply the wood filler and hardening mixture into the hole by using the 2-inch putty knife. Dip the blade of the knife into the filler and scoop up a gob of filler. Hold the knife blade parallel to the hole and press the filler into the hole. Repeat this process until you've filled the hole with filler. Check the duct tape to ensure it stayed in place. Overfill the hole to allow for sanding. Remove the duct tape and inspect that side of the knothole for coverage. Wait half an hour for the filler to set up. Sand the wood filler with 100-grit and then 120-grit sandpaper until the knot is smooth with the wood surface of the fence. Move the sandpaper back and forth and up and down to sand the filler.